Recently, we were alerted to a litter of abandoned puppies. We made some calls and a friend volunteered to rescue the puppies. 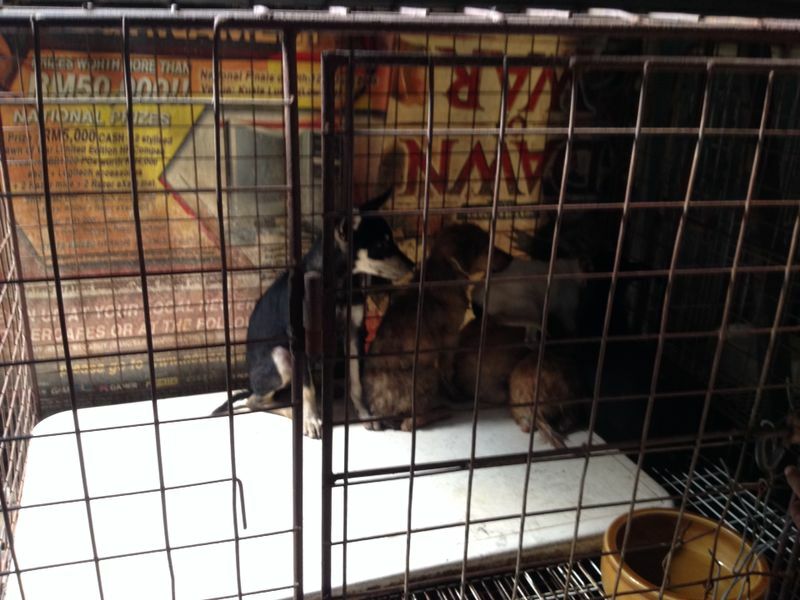 Since no adopter could be found, PAWS agreed to take in the puppies as they were estimated to be more than 2 months old. Unfortunately, one puppy did not make it after two days and two more succumbed after a week. Photo taken when first rescued. We wish to thank the volunteer and everyone who had helped in this rescue. We know how hard it is to get an adult local dog adopted, but puppies stand a better chance. We hope these two remaining puppies will survive and be eventually adopted from PAWS.